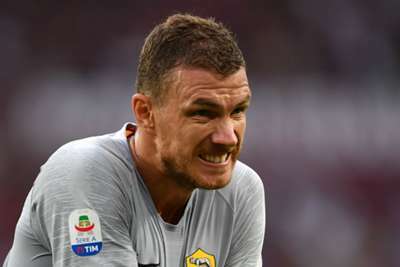 Dzeko hit 16 Premier League goals as Pellegrini's City won the 2013-14 title, but he later fell out of favour and joined Roma in 2015. "You can talk about five, six or seven players that are linked with us," Pellegrini told reporters. "We must not talk about one player. I know him well but we are not thinking about that at the moment." "He's okay," the Chilean continued. "He played just one game [for Austria in the international break]. "He has worked with the squad without any problems. He must be careful with his knee." Pellegrini's side face the challenge of keeping England captain Harry Kane quiet at the London Stadium. "Harry Kane is one of the best players in the Premier League, maybe the world," Pellegrini said. "They have a lot of international players, they have a complete squad."